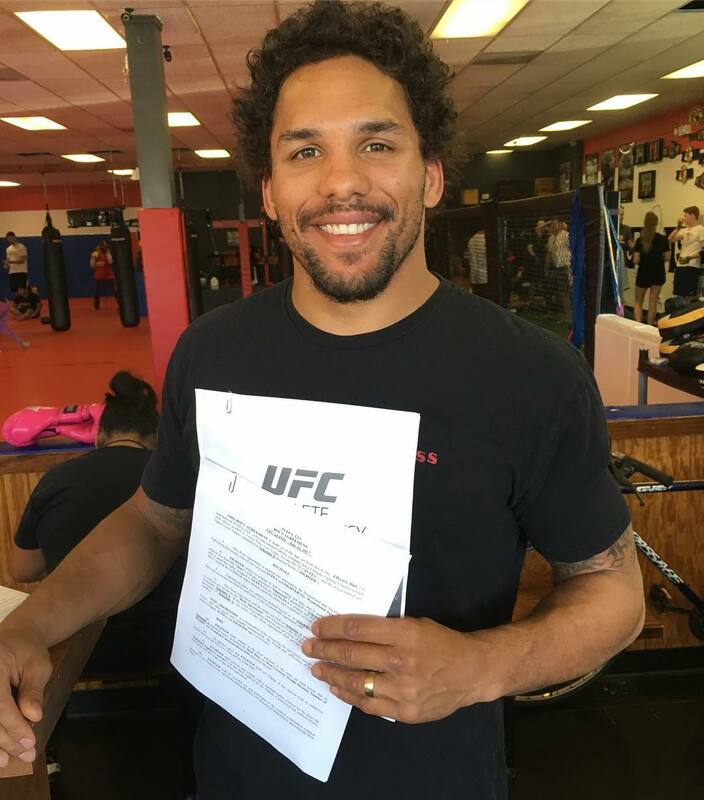 Unbeaten Eryk Anders is ready for his UFC debut this Saturday against Rafael Natal. But despite competing in the newly renovated Nassau Coliseum in Long Island, it’s always been another coliseum that the 30-year-old middleweight has pictured in his mind when it comes to fighting. His opponents thus far probably wished he was born in another time and place, as he’s been relentless in his attack to the tune of six finishes in eight pro bouts thus far. Yet the key element in his back story has nothing to do with gladiators or even MMA, but it does play into this debut, as Anders is one of the few fighters you might expect to have no first-time Octagon jitters. Nassau Coliseum tickets still available for Saturday! Click here. Why? Flash back to the BCS National Championship Game in 2010, when Anders started at linebacker for the University of Alabama and, in front of nearly 95,000 people, had seven tackles, a sack and a forced fumble in a win over Texas. After that, it’s hard to think of Anders getting rattled by anything. So he’s taken those lessons to MMA. “Speaking to the media, performing in front of a hundred thousand people, developing your body to perform certain tasks, it was definitely a skill set that was much needed to develop me and that I’m still using now,” said Anders, who pursued other football gigs after his college career was over. But at 6-foot-1, he was too small for the pros. The Texas native tried to acclimate to “civilian” life, but nothing clicked until he walked into an MMA gym in 2011. Going from the top of his sport in college football to the new guy in the gym in MMA wasn’t an issue either for someone who prides himself on hard work. You can’t be scared to take risks either, so after going five rounds in a win over Brendan Allen on June 23, he didn’t hesitate when he got the call to replace the injured Tim Williams against Natal this weekend. And hey, this beats a football training camp, right?